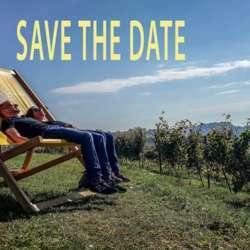 Join me for this spring culinary and culture break in the North East of the Slovenian hills with lots of wine tasting. Discover and experience with me the Slovenian North East side of the Wine Trails with amazing views. The program is not lined up yet, but the dates are already known. From Thursday, April 11th till Tuesday 16th. Natural, unspoiled and welcoming, Slovenia is a little slice of paradise - Among Lonely Planet's top 10 locations to visit. Slovenia is the first country in the world to be declared a green destination based on the GREEN destinations Criteria. Situated between the Alps, Mediterranean Sea, mysterious Karst, with more than 11.000 karst caves and Panamanian Plain which is rich in healthy water springs. The National Geographic has noticed Slovenia and its tourist trend, which promotes healthy living, a movement in nature and the authenticity of national culture. It has put it first in the rankings of sustainable tourism countries, based on hundreds of sustainable indicators, such as authenticity, the environment, biodiversity, the diversity of culture and other. As the UN heralds Protected content was declared the world’s most sustainable country. This Adriatic enclave has reached an impressive 96 points from Protected content , confirming that it belongs to the world's top destination, which will become more and more popular tourist destinations in the future. Slovenia has more than 33,000 hectares of vineyards, which are almost exclusively on steep hills. Many of the Slovenian professional vineyards are listed among the top 5 percent of the vineyards around the world which enables the production of top quality wines. Vines had spread throughout Slovenia during the time of the Celts, though it is the Romans who are most responsible for the development of the first forms of viticulture on our soil. At the crossroads of the Mediterranean, pre-Alpine world, and Pannonian Plain, the climate is very favorable for the cultivation of noble grape vines.